Choose the best and treat your guests to fine dining in our restaurant, or with our buffet or catering options! With heart, enthusiasm and creativity, our kitchen team creates incredible menus and delicious dishes using specially chosen ingredients and top regional products – fresh, delicious and absolutely exquisite. Fresh salads, rolls straight from the oven, tender organic meats from the butcher. The eclectic breakfast buffet at our 4-star hotel features Swabian specialities and other great top-quality dishes, lovingly arranged. Here you can create your own plate with plenty of selections from our varied and first-class buffet. Add a fresh roasted coffee, creamy cappuccino or a cup of your favourite tea and enjoy browsing your morning newspaper. 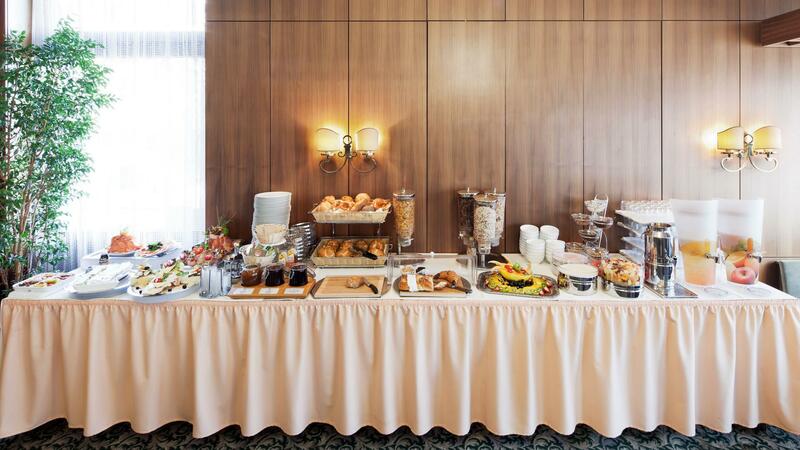 You couldn’t have a much more beautiful start to the day than with our abundant and exclusive breakfast buffet! Under the strict direction of our chef, the Zeller kitchen team conjure up excellent menus, the finest specialties and classic, traditional dishes you will enjoy in our five dining rooms and private rooms. Take a look at our menu suggestions and be inspired by our culinary creations.